LED (white)Daytime Running Lights can be also use as Fog Lights which will enhance visibility during night time. Brand New 08-UP Honda Accord 2DR LED Dual Halo Black Projector Headlights + Day Time Running Chrome LED Fog Lights. Replace your old or damaged headlights with out aftermarket projector headlights for only a fraction of factory cost. 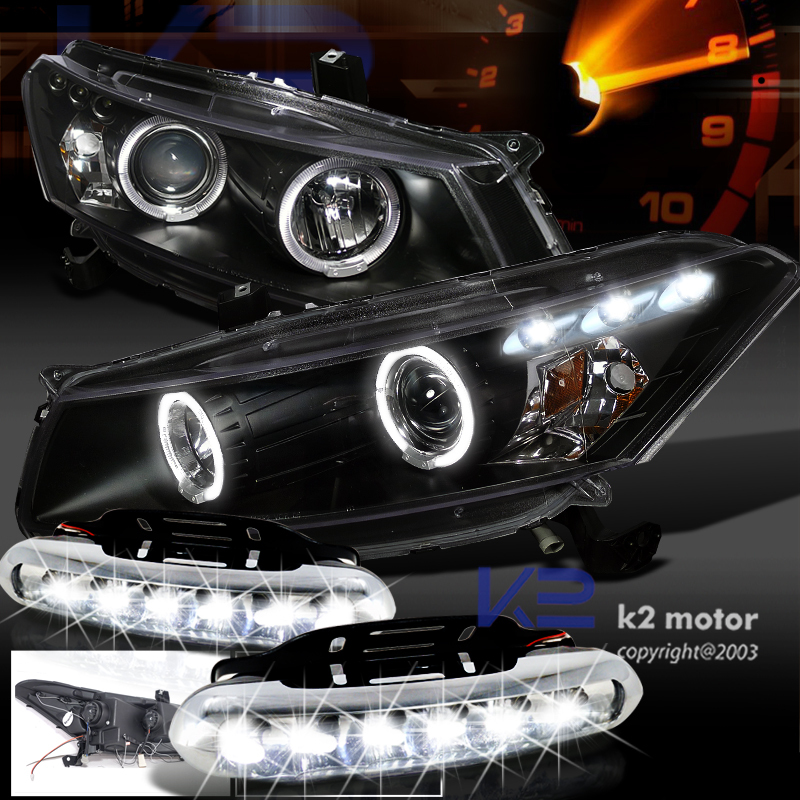 These projector headlights are made to fit perfectly on to your vehicle with easy installation with no additional wiring. These headlights will give your car a stylish and unique make over.